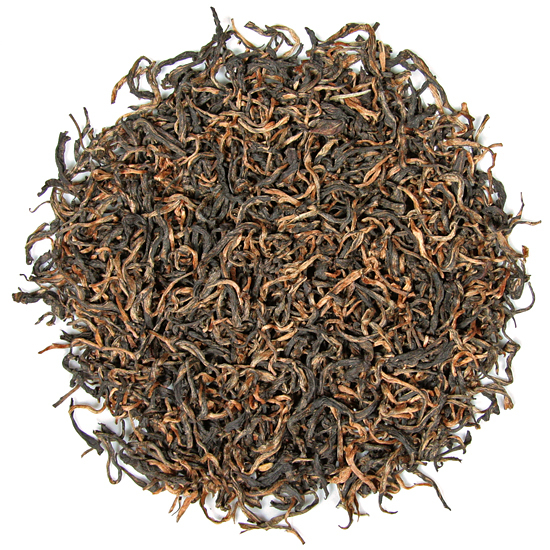 Appearance: a truly gorgeous tea, comprised of very long 100% of buds and buds & 1-leaf. Golden-russet in color. This tea’s leaf is an open spiral, so it should be measured generously, and you should expect it to yield delicious liquid tea over several re-steepings. We suggest that our tea enthusiast customers steep this leaf in freshly-heated water 3 times and possibly more – it all depends on how long each steeping is and how you like your tea. The shorter the amount of time the tea is steeped each time, the more times the leaf can be re-steeped. For iced tea lovers who drink their iced tea black and plain ( sweet tea this is not! 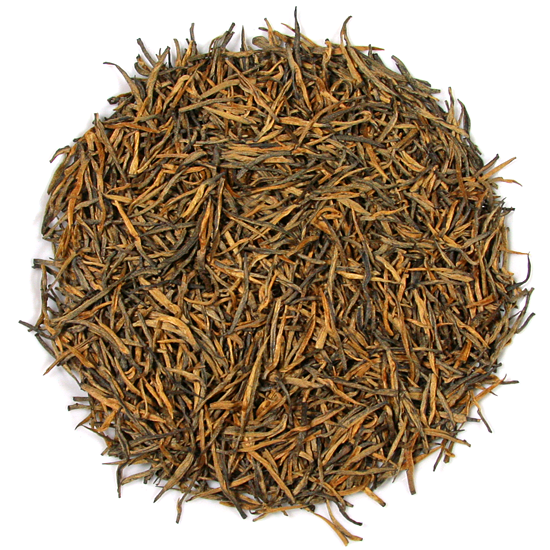 ), Feng Qing Imperial Dian Hong makes a rich and smooth, satisfying iced tea. We steep the leaf in freshly-drawn, newly-heated water 3-4 times, pouring each infusion on top of the last in a glass pitcher. After the tea cools down on the counter, we chill it in the refrigerator. This leaf is rich in amino acids, so will cloud heavily when cool. This is a classic, mouthwatering dian hong. What makes this tea so delicious are the small contributions made by many factors, but what is most important is that its flavor and style is unique and distinctive. One of the first unique aspects that we liked about this tea is its enticing aroma, reminiscent of darkly-roasted coffee or bitter chocolate. While we have tasted Yunnan black teas that have had a preponderance of a biscuit or ‘burnt-toast’ aroma, this coffee-ish/cocoa aroma is much more unusual and quite delicious. This is an elegant tea in appearance and taste. The slender ‘leaves’ are actually slender buds – sweet and delicious – that are each covered in a downy felt which signifies an early spring pluck. This tea will age extremely well and we expect to store some personally that we won’t even start to drink until sometime in mid-2018 or later. Southwest China is one of the original locations for the tea plant– and dian hong from Yunnan is one of our favorite types of Chinese hong cha. 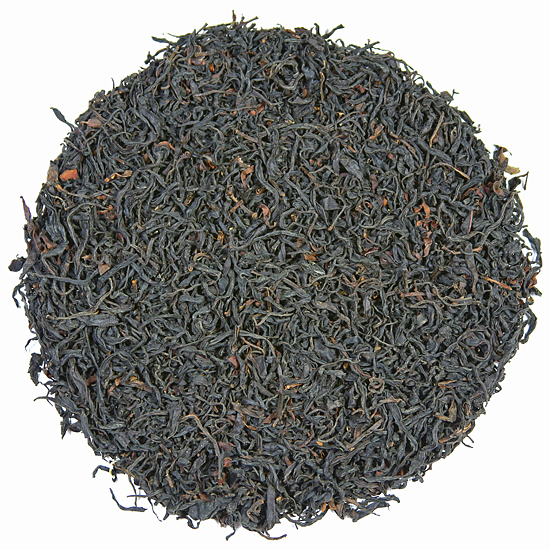 We especially like tea from the area where the Imperial Dian Hong is made – Feng Qing County in Lincang Prefecture. This area is famous for producing delicious and varied dian hong tea. Here, in remote areas, tea bushes thrive in the perfect climate, producing robust raw materials from many different sub-varieties of tea trees and tea bushes which yield distinctive teas in the tea factories. This leaf is plucked two times each year – in the early spring and in the fall. This tea is made from local tea bush cultivars that send out new leaf that is generally smaller in size than that of other tea bushes growing in this region; however, the bushes that produce this Imperial Dian Hong pluck send up these elegantly long, large buds. The flavor of this tea has a slight leathery, smoky initial taste, followed by the familiar dian hong biscuit, caramel flavor and then the cacao and coffee-like flavor. 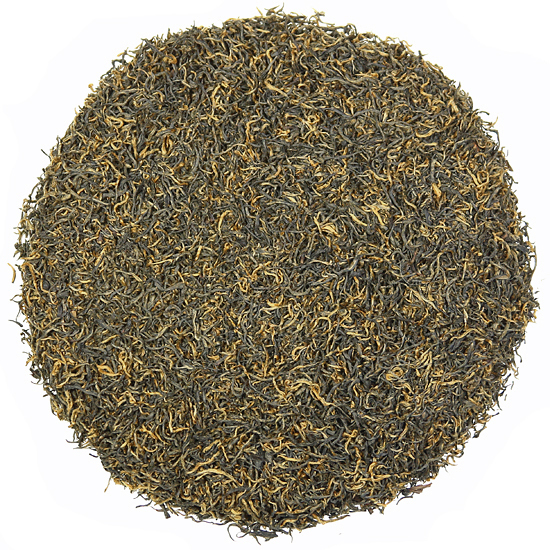 Spring tea is light and sweet while fall tea is richer and mellower. Not a bad choice either way!